When it comes to a Japanese sweets cafe where you can enjoy fresh maccha green tea, it’s Kagurachaka Petit that opened in the summer of 2016. 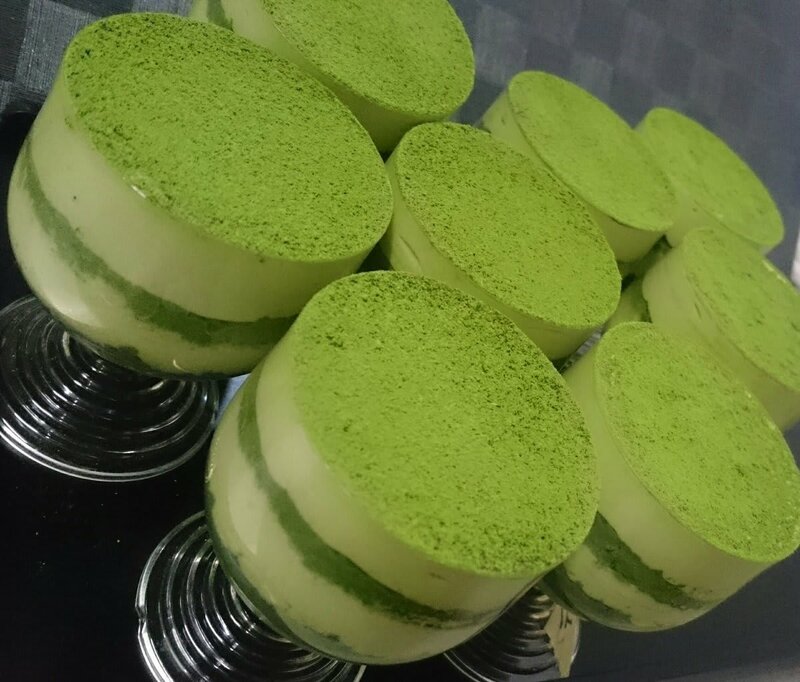 Using the highest class of tea leaves grown in Aichi Prefecture, this cafe grinds the tea with great attention every morning to serve maccha that has a bright colour and fresh aroma. You can order a teaspoon of fresh ground maccha powder to sprinkle over the other items from its sweets menu. This is one of the best cafes for maccha lovers. 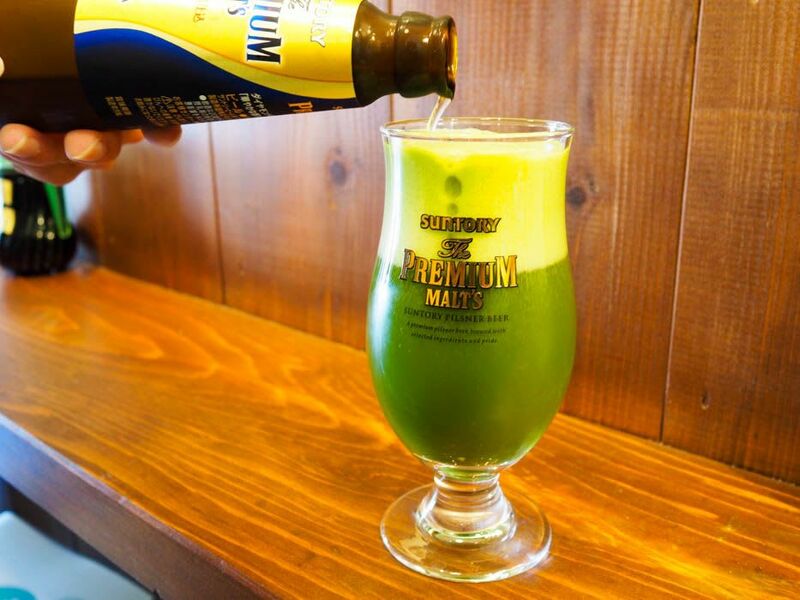 Not only maccha, this cafe also offers desserts and beer. It’s great to know about a cafe that you can invite your friends to who don’t have a sweet tooth. To know more about popular sweets cafes in Asakusa, check out our article “Top Nine Delightful Japanese Sweets Café you can Find at Asakusa – Overview”! It takes only 30 seconds from Asakusa Station to reach to Kagurachaka Petit. 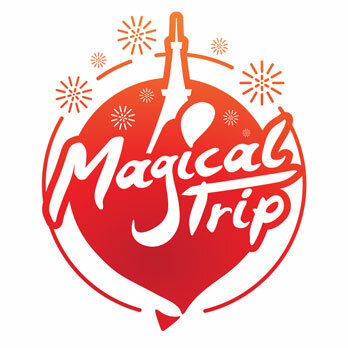 It’s located right beside Kokusai-dori, so tourists can casually drop by. Most of the customers order their food to go. Only 5 seats are available but it’s very cozy to stay because of the casual atmosphere and friendly staff. This cafe used to be located in Kagurazaka, which is another popular sightseeing spot for foreign tourists. From that time, the cafe was well known for its menu item, the Kagurachaka parfait which you can select your favorite toppings to create your own parfait. Of course, not only the parfait, the cafe offers many more delights. Sticking to only the high quality of maccha and pursuing the goal of being “the Japanese sweets cafe that serves the world’s freshest maccha”, the cafe has become one of the most popular Japanese sweets cafes in Asakusa. 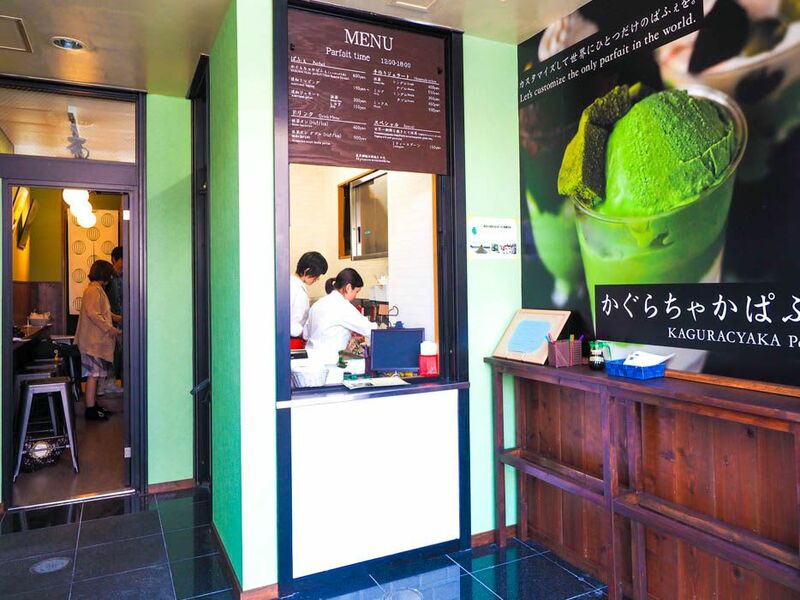 You can eat in or on the go from their various sweets menu offerings including maccha gelato. This creative cafe has been developing new menu choices one after another. You will find something new that amaze you the next time you visit there. The cafe posts photos of tourists with big smiles through social media everyday. You maybe the next tourist with a big smile that they post about! 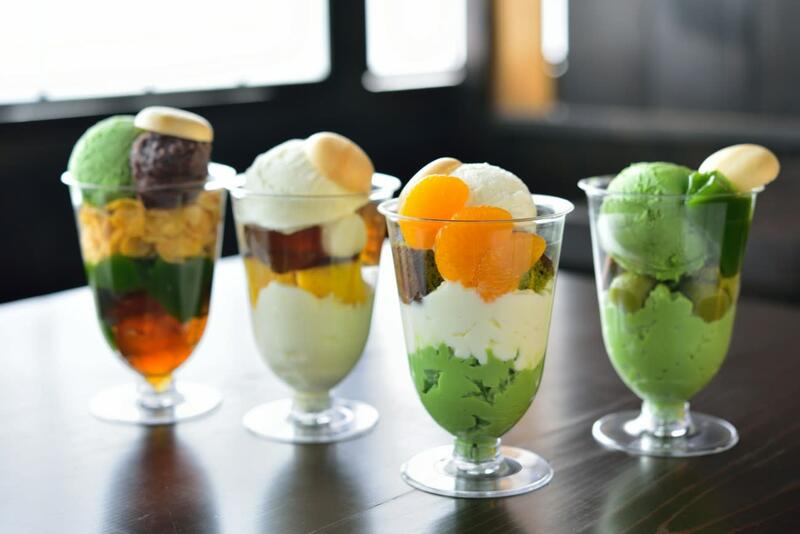 The cafe proudly offers the Kagurachaka parfait that you can select 5 out of 21 different toppings such as gelato, jelly and pudding. You can create your own unique parfait! If you can’t decide what to pick, feel free to talk to the staff. They will help you using their expert knowledge about making great combinations of texture and flavors. Cheers With Maccha Draft Beer! The other menu selection that the cafe proudly recommends is maccha spirits. You can have alcohol drinks such as maccha draft beer and maccha mojitos. It’s mild and casual enough even for people who don’t really drink very often. If you like, you can add more maccha on top! Take the Keikyu Airport Line Limited Express (Imba Nihon-idai Direction). Transfer at Sengakuji Station to get on Tokyo Subway Toei Asakusa Line (Imba Nihon-idai Direction). Get off at Asakusa Station. The total travel time is approx. 40 minutes. Take a Skyliner Car No.38 (Keisei Ueno Direction). Transfer at Keisei Ueno Station to get on Tokyo Metro Ginza Line (Asakusa Direction). Get off at Asakusa Station. The total travel time is approx. 60 minutes. Take a Joban Line Rapid (Narita Direction). Transfer at Ueno Station to get on Ginza Line Local (Asakusa Direction). Get off at Asakusa Station. The total travel time is approx. 15 minutes.